Until about a month ago....I had one just like the pink one in the right hand corner. 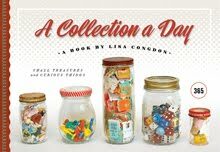 I used to collect them but they took up too much room.....it's better to collect thimbles!! are the buttons in the tin? either way love, they don't make'm like this anymore. the rectangular one in the corner with pink flowers is stunning! The one in the middle (below) originates form my birthplace, the province Zeeland in the South of Holland. The tin was for 'roomboterbabbelaars', which is a typical Dutch candy. The women in the picture are in traditional Zeeuws clothing. 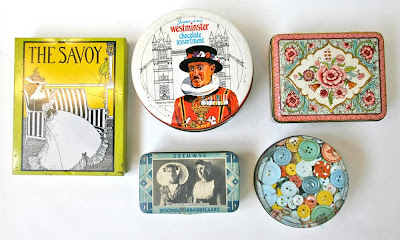 i am a vintage tin junkie too..HELP!